Xavi (Terrassa, Barcelona, 1980) is, statistically speaking, the most successful player in Spanish football history. A midfielder from the club’s youth system, he’s the perfect example of the Barça values. The conductor of the FC Barcelona orchestra reads the game to absolute perfection. He always seemed to pick out the best-positioned players and had an uncanny knack for creating time and space. He joined the U12 team in 1991/92, playing as a traditional centre back, but he would gradually move up the field to the central midfield role in which he became a legend, not just at FC Barcelona but in global football as a whole. His mentor was Pep Guardiola and he’ would go on to become the midfield general’s successor. 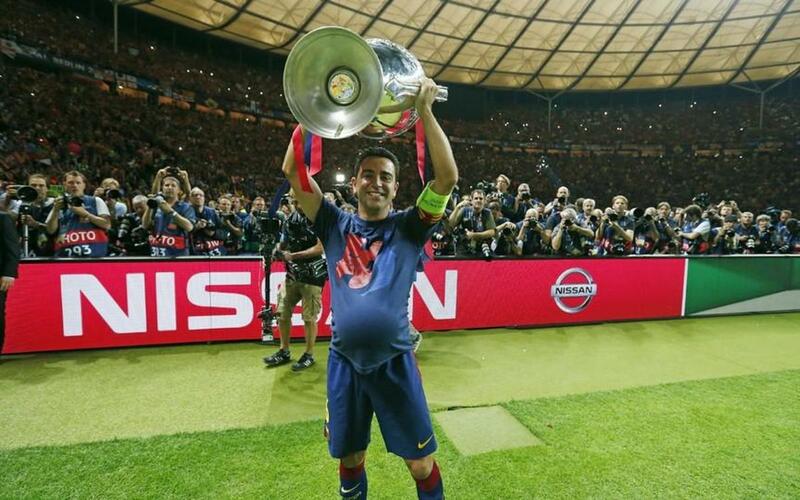 Xavi was astonishingly creative and was the veritable brain in the Barça engine. Though not physically strong, he used his wily knowledge to outwit opponents time and time again. There was no safer guarantee in the middle of the park than this exquisite player. He made his first team debut in 1998 under Louis van Gaal, and held onto his first team place for a remarkable seventeen seasons. It was under Frank Rijkaard in 2003 that he really started making his name, and by the time he was playing under his role model Pep Guardiola in the 2008/09 season, his legend was already set in stone. in his final season as a blaugrana. following the retirement of Carles Puyol, he became Barça captain. He left Barça in 2015 with full honours, having broken the club record for first team appearances and won more titles than any other Spaniard before him. Xavi will always be part of the FC Barcelona heritage.